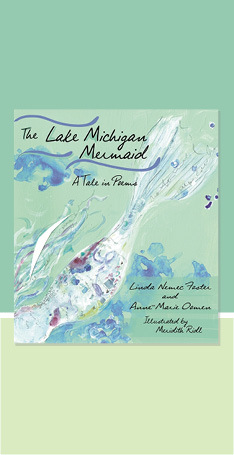 Join author Linda Nemec Foster for an exciting evening discussing her book, The Lake Michigan Mermaid, recently published by Wayne State University Press. She will read select poems from the sequence, and highlight a few of the original illustrations that artist Meridith Ridl created for the book. LINDA NEMEC FOSTER is the founder of the Contemporary Writers Series at Aquinas College. She is also the author of ten collections of poetry including Amber Necklace from Gdansk, Talking Diamonds, Listen to the Landscape, and Living in the Fire Nest. Foster was selected to be the first poet laureate of Grand Rapids, MI from 2003-2005.